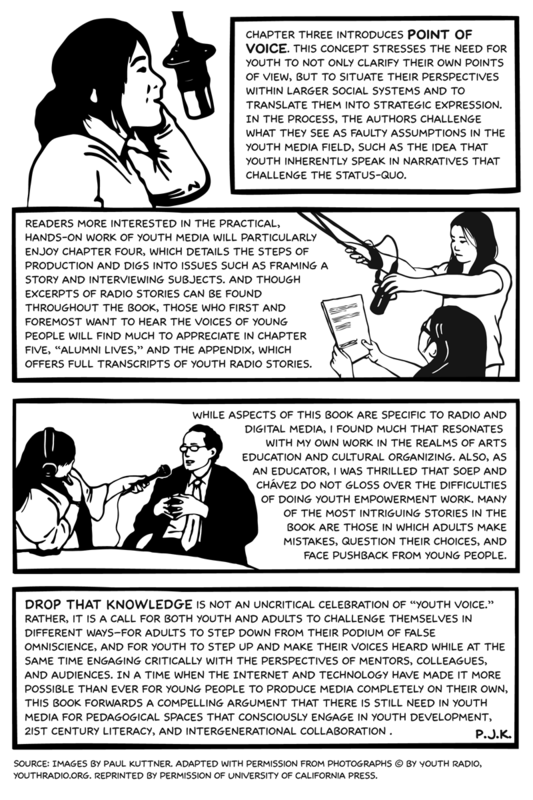 I’m excited to share my new comic-style book review which has come out in the most recent issue of the Harvard Educational Review. 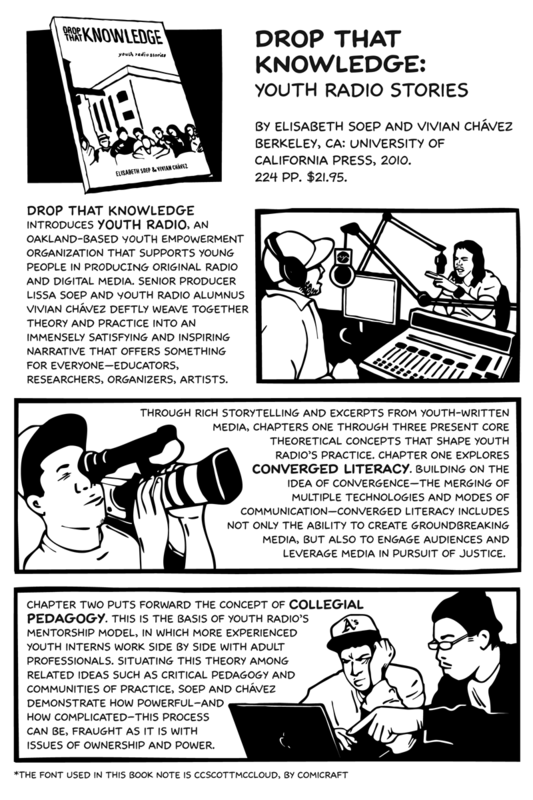 The book is about Oakland-based Youth Radio. Check it out below, or Click HERE to view and download the whole PDF.